Banking on the high tech machinery and latest equipment at our disposal, we are able to offer Tile Press Machine (RTM-1). Owing to our skilled professionals, sophisticated technology and latest tools, we manufacture the best quality. It is suitable for application in various purposes across different industries. The traits like low energy consumption and high efficiency makes it popular among customers. The raw material used in manufacturing process is procured from trustworthy vendors. 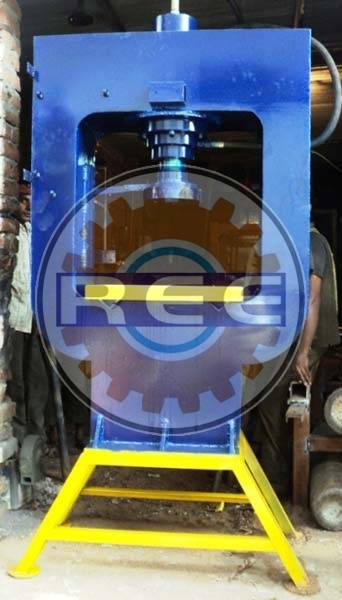 Reva Auto-Tile Press Machine, Model - RTM-1,Powered by 7.5HP Electric Motor of A, Production Capacity 2500 to 3500 pavers per shift. OMRON PLC Operated. The Capacity of Hydraulic Oil Tank 250 Ltrs. Automatic Pressing and demoulding of Tiles/Pavers.